It’s about a week since Moriyama, one of Canada’s most esteemed and decorated architects, announced he was launching a new prize for architecture in conjunction with the Royal Architectural Institute of Canada (RAIC), and we’ve met at the downtown office of Moriyama & Teshima Architects, the firm he founded back in 1958, to discuss the finer details. Moriyama, head to toe in black and sporting his Order of Canada pin, speaks softly, is very gracious and smiles often. He has the soft eyes of a man who’s seen difficult times, with an unassuming demeanour that’s unafraid of a little self-deprecating humour. (He’s 84 and has been retired for close to a decade, but his son Jason is now a partner of the firm, so they still let him hang around, he quips.) He was explaining how applicants for the biannual Moriyama RAIC International Prize are accepted from all over the world, about the Wei Yew-designed statue and the $100,000 the winner takes home. The monetary award happens to be the same amount that accompanies the prestigious Pritzker Architecture Prize, and Moriyama feels his has the potential to raise the stature of both the RAIC and Canadian architectural talent on the international stage. I had only asked about how he got involved with the RAIC on this new venture, but if we need to dip into the past to find its inception — the real beginning, as he says — then, sure, tell me how it all started. Moriyama’s youth was one of pain and pessimism. At four he was badly burned after knocking over a pot of hot stew. The injuries left him bedridden in the back of the family’s Vancouver hardware store for eight months. The pain was intense and constant, but the experience proved existential. As he lay, as stiff as a board, he would gaze out a small window, watching as an addition was made to the building across the street. Every so often a man with a pipe carrying a big roll of papers would arrive at the construction site. He would spread the papers out on a large rock and the workers would gather around and listen as he spoke. Moriyama was intrigued. He asked his father who the man was and his father went to investigate. When he returned he explained that the man was an “architect,” the person responsible for designing the extension of the building. “I said, ‘Well dad, I’m going to be an architect too,’” Moriyama says. But before that could happen there was still more hardship to endure. It would come in December 1941 when the Japanese attacked Pearl Harbor. Fear and paranoia permeated Canada’s vulnerable West Coast. Many looked at Japanese-Canadians with contempt, believing they were spies for the enemy. The government ordered that all citizens of Japanese descent be rounded up and sent to internment camps. Moriyama’s father, however, saw the flaw in this decision. He refused to go willingly, explaining to his son that while Canada fought overseas to defend freedom and democracy, at home it was committing a contradiction. A few days later his father was arrested and sent to Ontario as a prisoner of war. Soon after, 12-year-old Moriyama and his pregnant mother were taken from their home and, along with 22,000 other Japanese-Canadians, sent to the camps. It was in the shelter and solitude of the tree house, his “university,” that Moriyama pondered his future. He thought about his life as an architect and grew concerned with ideas of social justice, equality, inclusiveness and true democracy. He felt that if his dream came true his goal would be more than just making pretty buildings. He wanted his work to be part of a “cultural flowering” that gave opportunity to everyone, no matter their ethnicity, gender or physical ability. “I just had to follow another kind of drummer,” he says. Years later, after opening his architectural firm, Moriyama would take the pain of his past and use it to shape the world around him. Over his 50-year career, he weaved those themes he pondered as a child into the buildings he designed, such as the Ontario Science Centre, the Toronto Reference Library and the Canadian War Museum. The Toronto Reference Library, for example, was placed on Yonge Street one block north of Bloor to be at the intersection of two subway lines for easy accessibility. Special desks were also included so people in wheelchairs could have a place to read and work. When Moriyama was approached to design the Canadian War Museum, arguably his most powerful work, he told the client that it wouldn’t be beautiful in the conventional sense. The building, opened in 2005, is meant to “bother people,” to make them reflect on the harsh reality of war, but also to instil hope for the future. In 1976, when he went on a trip through India, walking, he guesses, 1,000 kilometres as he followed “the footsteps of Buddha,” Moriyama began to tinker with the idea of an architecture award. He would think about it on and off for years, developing it further and refining what he hoped it would achieve. Awards such as the Pritzker celebrate lifetime achievement. While monumentally prestigious, it’s also criticized for favouring the industry’s elite. Moriyama wants his prize to be more inclusive, obtainable by any architect in the world no matter his or her age or experience. Winning structures will not only exemplify great design, Moriyama explains, but will also have social and cultural impact. “I’m also hoping that it would be given to somebody who really opens an eye to a sense of equality and true democracy for everybody,” he adds. 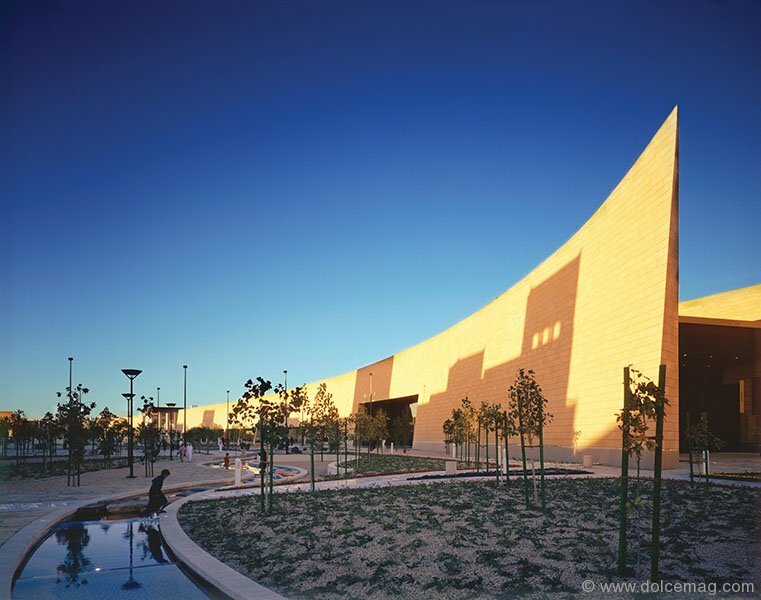 The inaugural prize will be awarded on October 11 at the new Aga Khan Museum in Toronto. Submissions have been accepted all spring and summer, and a jury that features numerous architectural forces, including Edward Cullinan, Maxime-Alexis Frappier and Patricia Patkau, will select three finalists. A winner will be selected at the gala and take home the $100,000, while the two runners-up will have $5,000 scholarships given in their names to Canadian university students studying architecture. 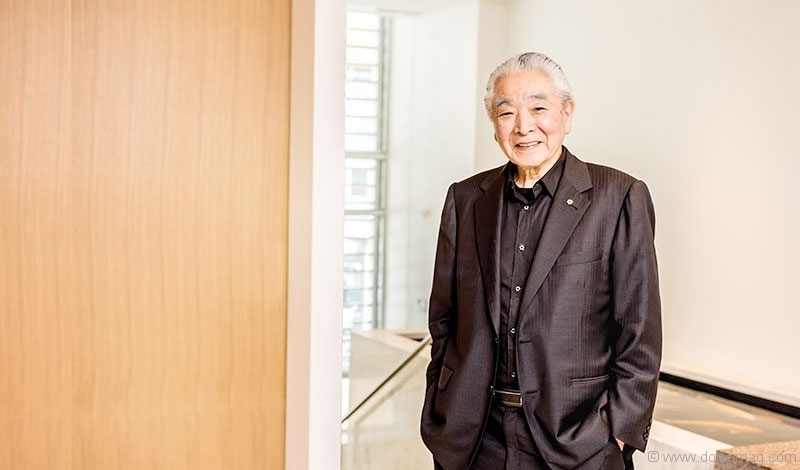 Despite a prestigious career, which has garnered the RAIC Gold Medal and being named a Companion of the Order of Canada, when it comes to pinpointing the proudest moment of his career Moriyama remains modest. “I think I’ve tried to do my best for whatever project we’ve taken on,” he says. I explain that I meant maybe there was one project, perhaps one that really exemplified that humanism and inclusivity he spoke about, when he felt particularly satisfied. After all, he builds as a way of helping others.